Chewy Fruit & Nut Granola Bars made from scratch taste better and are healthier than anything store bought. Customize the fruit and nuts to your liking. I’m a huge fan of homemade granola so making granola bars is a simple next step. I was in the habit of buying a different box of granola bars every week trying to find something my teenage son would love. He eats them before his 2 hour swim practice so they needed to be high fiber to keep him full and protein rich to keep his energy up. This recipe includes the dried fruits he loves most and also that pop of protein from the oats, peanuts and chocolate to keep him from tanking in the pool. 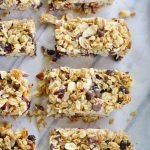 Super easy to make with ingredients I already have in the pantry, these granola bars can be out of the oven in 30 minutes. What’s great about this recipe is that the fruit and nuts can be switched out for what you love most. Love hazelnuts or cashews? Swap out the peanuts. Love butterscotch instead of chocolate chip? Dried apricots or cherries instead of raisins. You get the idea. 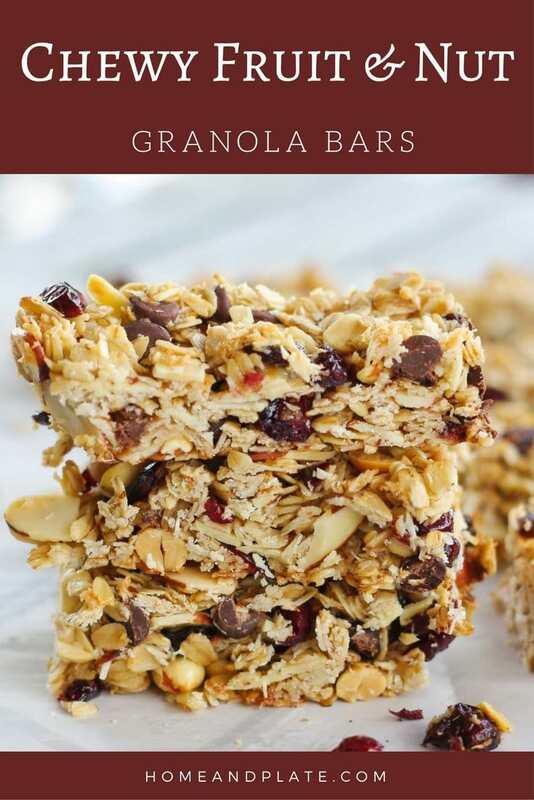 These granola bars are easy to customize and are delicious. They keep you full for hours and are much healthier than what you can get in the grocery store with no added corn fructose sugars. Did I say that right? These delicious bars will keep in the freezer until you’re ready to eat them although I promise they will disappear quickly if offered. They are sweet and salty yet chewy and crunchy. That’s how I like my granola bars. 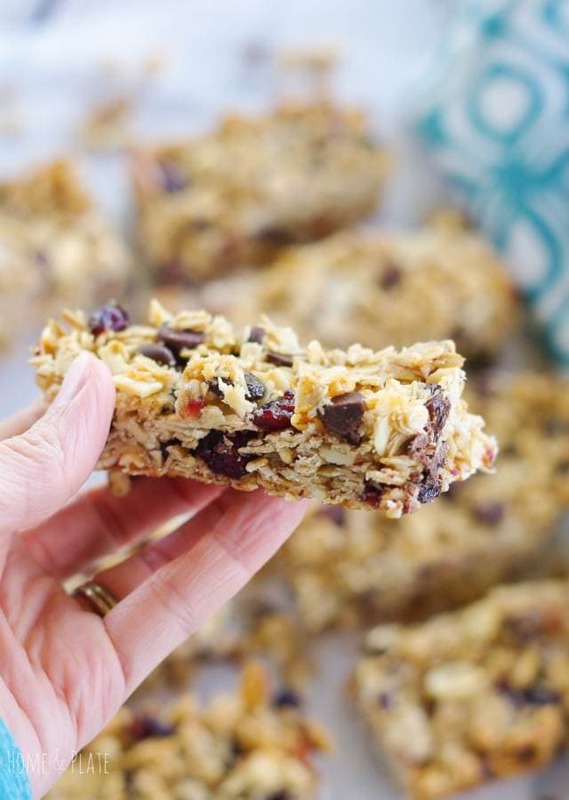 Want to try these Chewy Fruit & Nut Granola Bars? Pin them to your Breakfast or Snacks board to save for later! Chewy Fruit & Nut Granola Bars made from scratch taste better and are healthier than anything store bought. Preheat the oven to 350°F. Line a 8" x 8" square pan with parchment paper. In a bowl mix together the oats, coconut, almonds, chocolate chips, raisins, cranberries and peanuts. Pour in the oil and maple syrup and mix until the ingredients are well coated. Add the granola mixture to the pan and press into the corners using a wooden spoon. Bake until the granola bars have turned golden brown on top, about 30 minutes. 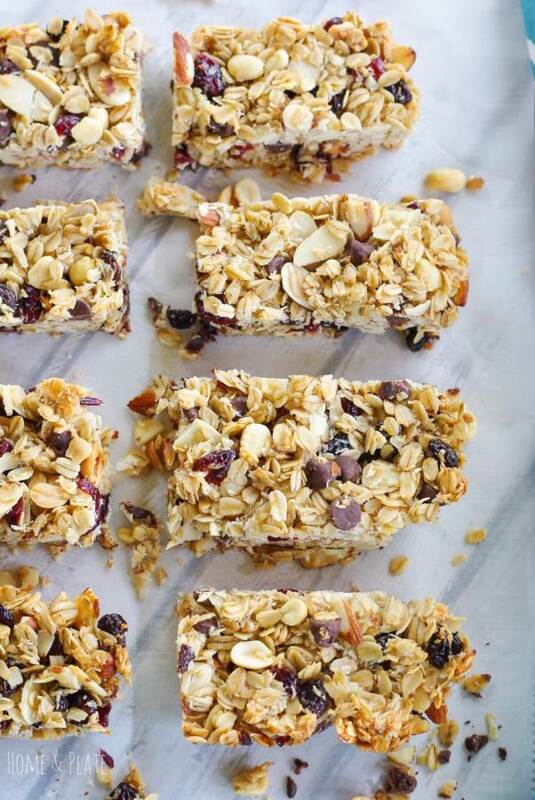 Allow the pan of granola bars to cool completely then refrigerate until set. Remove the parchment from the pan and slice the granola into 8 large bars or 16 squares. These are SO much better than the store bought variety! 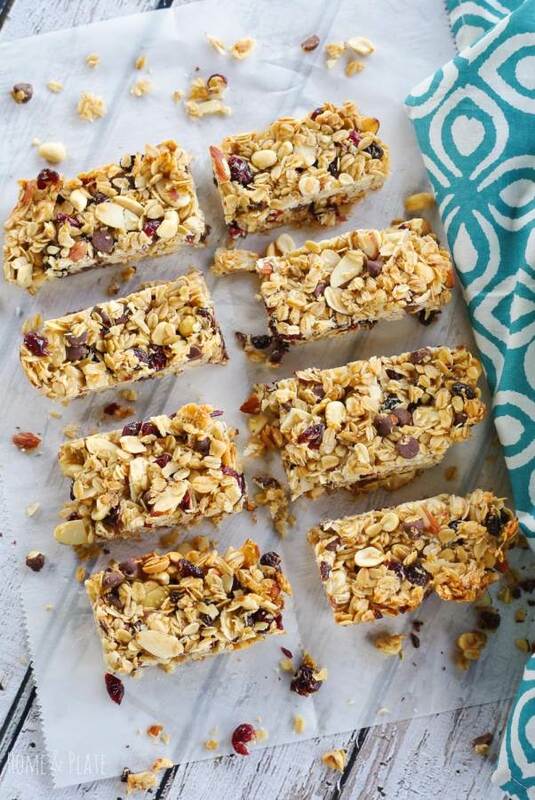 Sweet and crunchy is always a winning combination and these homemade granola bars are definitely a winner for sure! Me too…simple and easy and delicious! Such a great idea for breakfast or snack! My kids are going to love it! 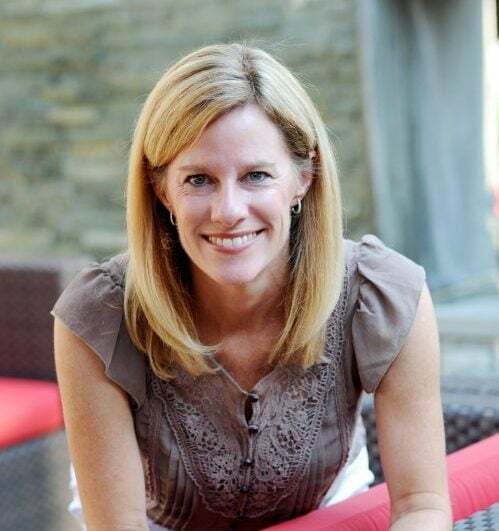 Super simple…thanks Lisa…hope they love it! I just realized I’ve never made my own granola bars. Your version looks 10x better than anything I’ve ever eaten out of a wrapper. Can’t wait to try these! Thanks Rae…they are super easy and take so much better than anything store bought. Thanks for stopping by.